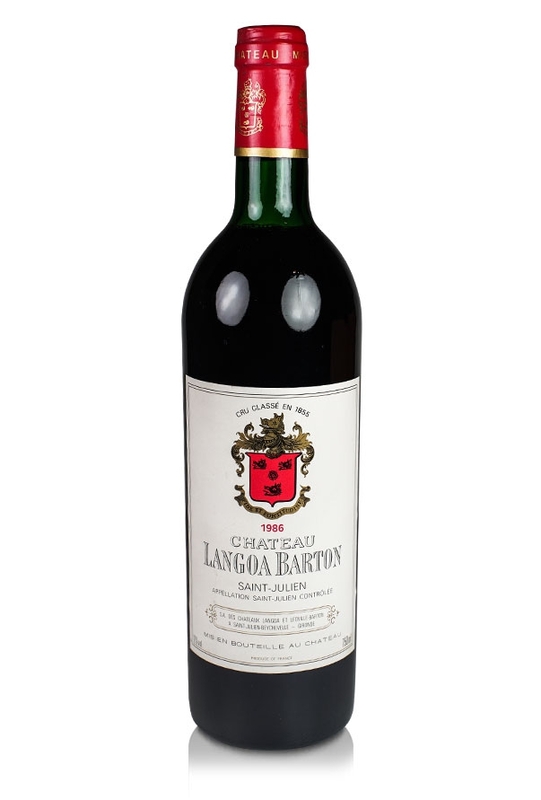 Château Langoa Barton is a 3rd. classed growth in the appellation of Saint-Julien in the Haut Médoc, Bordeaux. It is produced from a typical Bordeaux blend of 70% Cabernet Sauvignon, 20% Merlot and 10% Cabernet Franc grapes. The average age of the vines is approximately 40 years old and these are planted at a high density of 9,000 per hectare hence the comparitively low yield (50 hl/ha) of concentrated juice. Fermentation is completed in two to three weeks and takes place in temperature-controlled wooden vats before ageing in 50% new oak for twenty months before fining, filtration and bottling. 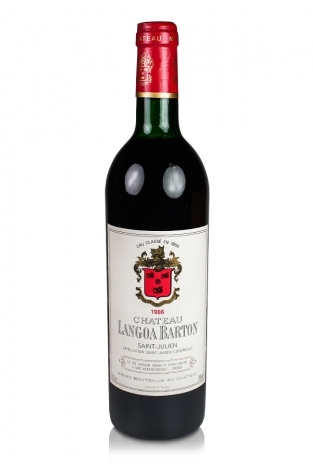 The wines are often fairly tannic and usually require patient cellaring before opening up to give of their best. They are big, ripe, concentrated wines with good fruit and cedar-wood qualities. This 1986 vintage took twenty years before it "came round" and will be drinking for another ten years or so. Robert Parker found truffle, licorice, herbs and currants on the nose and a palate that, in keeping with the times, exhibits a degree of austerity.